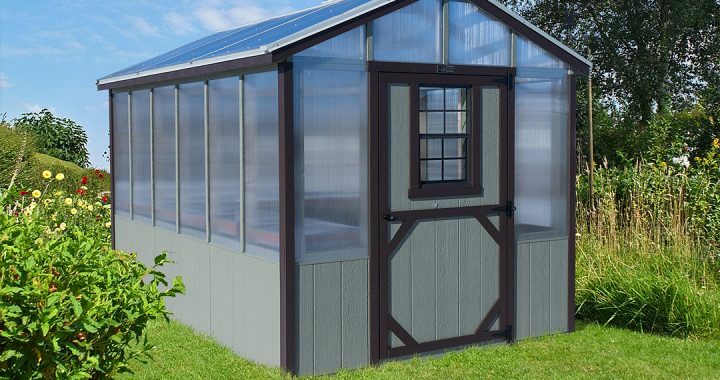 Greenhouses are ideal for getting a jumpstart on the growing season. This is especially nice in the Northwest. Plants like tomatoes, peppers, flowers can be started in early and transplanted once the frost is gone. Buying a greenhouse is a long-term investment so you want to make sure you will have sufficient space. Often times we underestimate the room we need, so make sure you get a good idea of which types of plants and how many of each you will want. It is important to have good glazing.  Glass is considered one of the best glazings, but it is expensive and subject to breaking. Polycarbonate siding provides excellent insulation and is very durable. You will want to say away from thin plastic. A good location is important. If it is too far from your house or the garden you will find yourself using it less and less. Also, it is important for the greenhouse to get at least 6 hours of light. The farther north you are the lower the sun is in the sky in the early season, so careful attention needs to be given to things that can block the sun. The purpose of a greenhouse is to maintain a good growing environment which temperature is an important part. Early in the season temperatures can be very cold at night and the temperature in the greenhouse can drop significantly. 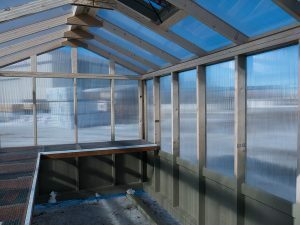 The greenhouse should be insulated and a heater in place in cold conditions. Ventilation is also an important factor. Plants can get too hot so a good greenhouse should have a ventilation system. Some require electricity to run a fan while others have a solar-powered self-opening vent. Rocks and pots of water that are exposed to the sunlight, in the greenhouse, helps to maintain temperature through the night. The goal of all this is to provide your home with beautiful plants and fresh vegetables to increase your quality of living. Also, the time spent in the greenhouse and garden provides that stress-free time outdoors with nature for better mental clarity.